A warm and irresistible fragrance of sweet creamy vanilla. This moisturizing treatment will soothe, nourish, condition, and hydrate dry, thirsty hands and body without leaving a greasy residue. Packed with vitamins and minerals naturally found in Goat Milk. 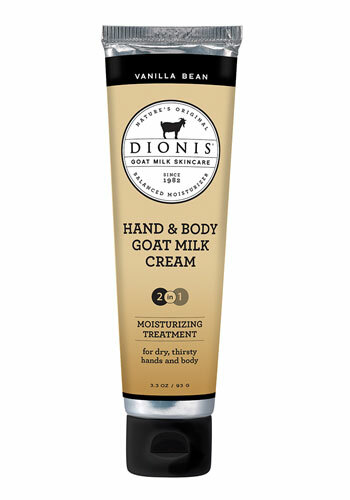 Vitamins & minerals found in Goat Milk help the skin rebuild, and help retain skin moisture. Directions: Apply as often as needed to all areas of your body for smooth soft skin.